The government says drivers may use a phone if it is being operated in what’s known as a ‘fully hands-free mode’. That means it has to be synchronised with the car’s infotainment system, using Bluetooth or a USB cable. This should be done before starting any journey, or when a driver has pulled over and parked. By using it in such a way, drivers should be able to operate its most popular in-car features – calling, streaming music or navigation – using voice prompts. Theoretically, when a phone is set up in this way, it can be stored safely out of sight, in the glovebox or another storage compartment. This should reduce the potential for distraction. At no point – even when stopped in traffic – can the phone be physically handled. Even scrolling through your phone’s list of favourite contacts to select a caller is forbidden. Alternatively, if a smartphone can’t be synchronised with a car’s devices, it should be operated using voice commands. For Apple iOS devices that’s Siri, Google Now for Android smartphones or Cortana for those running Windows. A Bluetooth headset may be required to make this work successfully. Remember the police can still stop a driver if they believe they are being distracted and present a danger to themselves and other road users. When using a smartphone and app to help navigate a journey, drivers must still stick to the law around mobile phones. It should either be synchronised with the car’s infotainment system, and then stored safely in a dashboard mount, or operated as a stand-alone unit and secured in a dashboard mount. The address should be programmed before commencing any journey. Should you need to make an alteration to the route, this must be done using voice prompts or when safely parked. Synchronising a car and smartphone enables the vehicle’s infotainment system, and associated voice commands and steering wheel-mounted buttons to control the phone. The handset should be secured in a phone mount. This in turn must be safely positioned. It can’t be stuck to the middle of the windscreen, for example. 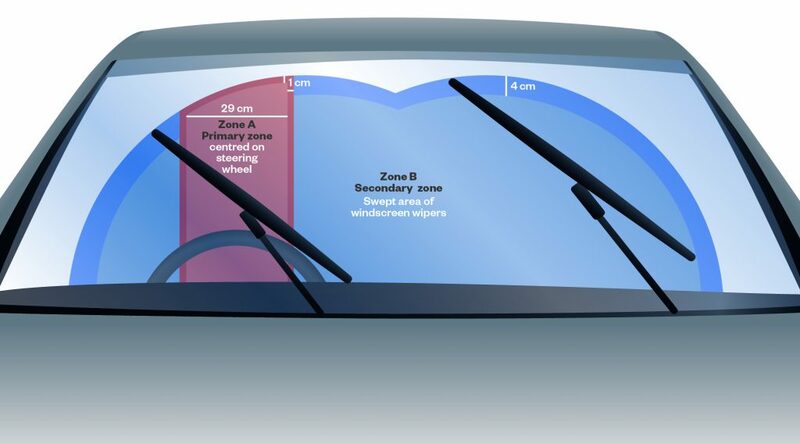 According to the UK Road Traffic Act 1988, most of the windscreen is out of bounds. No part of the device – cradle, suction cup or cables – should intrude more than 10mm into Zone A. And only 40mm intrusion into Zone B is permitted. For this reason, many drivers choose to locate their phone using a mount that attaches to the dashboard’s air vent. Good question. I would like to bet, though I have never seen statistics, that the distraction of being lost is a big cause of accidents and is alleviated by sat navs even if they do cover a bit of the screen. They should be treated in the same way as a mobile phone as its just as much of a distraction and will get i the way just the same as a mobile phone on were it is placed if not more as most are much bigger. So in essence having your satnav/phone cradle in the middle bottom of your windscreen is a no go? even at the bottom?